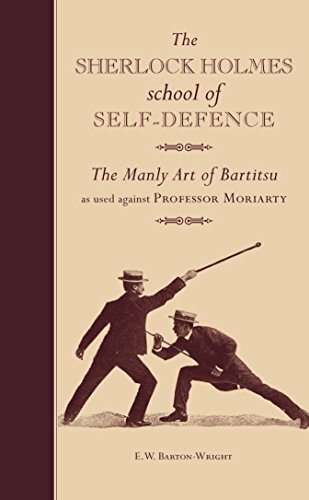 The Sherlock Holmes Book of Self-Defence – The Manly Art of Bartitsu, as used against Professor Moriarty is a fun-filled little book from the Ivy Press, based upon the original Edwardian articles and other writings of E.W. Barton-Wright, the devisor of Bartitsu. While it’s a fun read, this delightfully-illustrated little book is practical too, and you might pick up a hint or two on defending yourself. I spent a couple of decades indulging in martial arts, including Wado Ryu Karate, Kung Fu, boxing, wrestling, Jiu-Jitsu and Savate (French kick-boxing). Elements of the later two make up much of the ethos of Bartitsu. I’ve used similar techniques in training and the real world – they do work, though you really do need to practice and not just read a book. Contrary to popular belief, Victorian and Edwardian society was not particularly safe. There were places in town and country where you might be attacked. Personal safety did prey on people’s minds. Barton-Wright (1860-1951) was an interesting character. He was a consulting engineer by profession, work which took him all around the world, including Japan where he took up Jiu-Jitsu. Returning to London in 1898, Barton-Wright devised the hybrid Bartitsu (named after himself), publishing magazine articles and opening a Bartitsu Club in Shaftesbury Avenue. It didn’t last long, no doubt because of competition from many other schools of many other martial arts disciplines that became popular at the same time. Notice that Doyle gets the name of the art wrong, Baritsu rather than the proper Bartitsu, though this could well have been a proofing error rather than the author’s fault. Interesting to see how widely Barton-Wright’s martial art had become known. This present book presents us with a number of these techniques, from how to “Deal With Undesirables”, such as evicting a troublesome man from a room, to how to escape when grabbed from the rear or by the throat. There are short chapters on how to fight with a walking stick, dealing with an attacker armed with a knife, how to throw and hold an assailant on the ground, and even self-defence using a bicycle as a weapon. All very interesting, though if you want to take this up seriously you should perhaps enrol in a club and learn hands-on. But this little book is a delight and well worth a read for devotees of historic crime fiction. 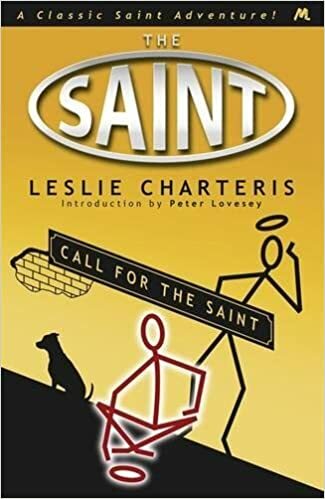 Call For the Saint offers us two Simon Templar novellas (or novelettes as Charteris preferred to call them). The collected volume was published in 1948 and features two of the best post-war Saint stories. This was the last time Charteris used the novelette format, though it was revived by other Saint writers in the 1960s, around the time the Roger Moore television series aired. In the first tale “The King of the Beggars” Simon Templar is in Chicago and takes to the streets and alleys as a blind beggar to investigate the mysterious individual who declares himself just that – the King of the Beggars. Not that this king is generous to people forced on to the streets. In fact, this king is running a protection racket, forcing street beggars to hand over most of what they have collected to him. Templar is in alliance here with a feisty theatre actress, Monica Varing, who goes undercover herself. The joy of the piece is Templar’s Runyonesque and extremely dim hoodlum sidekick Hoppy Uniatz, one of the happiest character creations in thrillerdom. Hoppy gives an added delight to the stories in which he appears. Here his ability to mouth out BB shot plays an important part in the yarn. The second story, “The Masked Angel” is set against the world of fixed boxing bouts. Charteris captures the atmosphere of the ring rather well and we even have a climax where the Saint puts on the gloves himself – to the delight of the crowd. The story is set in New York and re-introduces two well-known characters from the canon – Police Inspector Fernack, who shares the same love/hate relationship with Templar that Claud Eustace Teal of Scotland Yard enjoys. How frustrating it must be for well-meaning cops that they can never bring the saint to heel? The other character is Patricia Holm, the Saint’s sometime girlfriend and partner in crime. This is one of her last appearances (she takes her final bow in Saint Errant published the same year, and she hadn’t appeared since the earlier The Saint in Miami). Reading this story, you get the feeling that all is not well between the Saint and the delightful Patricia. He has his saintly eyes on another (unavailable) woman and Patricia isn’t very happy about it. In fact, there’s a real edginess between Patricia and the Saint in this one, as though both know that the writing is on the wall in a relationship coming to an end. For me, the Saint is never quite the same when Patricia leaves, and I don’t recall there being any reason given for the breakdown of their relationship. 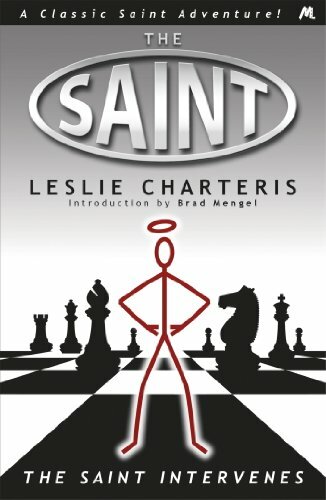 If any Saintly readers know why Charteris decided to give her the elbow, please comment. Call For the Saint is a wonderful read if you want a few hours of complete escapism, both stories are beautifully-written and full of atmosphere. 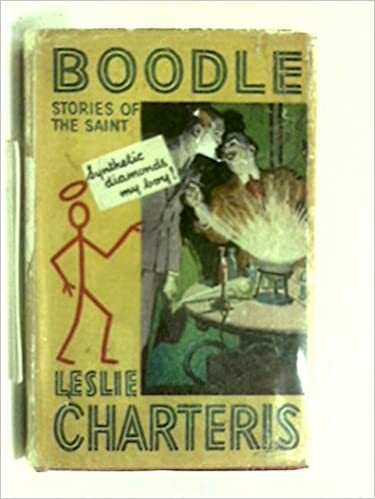 At the top of his form, nobody did this kind of story better than Leslie Charteris. And now I’m back to writing my Robin Hood series set in the 1190s. The landscape where it is set has changed very considerably in the centuries since. So more imagination is needed, though I still try to root my scenes in reality. Click on the link below to take a look at Balmoral Kill..
It’s a terrific take on the novel, with some great acting, a literate script by Jane Goldman, and some excellent sets that take you right back into Victorian London. The photography is superb. I’m not going to say much about the plot, because I’ve mentioned the salient parts in the book blog below. Jane Goldman has made a few minor alterations to the plot for film purposes, but these make no difference to the story. I’m always wary of filmed Victorian crime stories, because the slightest error jars. But there are no errors here. I was completely absorbed by the telling of the tale. Rarely have I seen a crime novel set in this period so well done. This film stars Bill Nighy as Inspector Kildare, his role slightly expanded from the novel. The part was to have been played by Alan Rickman – one of our favourite actors – who sadly died early in the project. But Nighy makes an excellent Kildare, every inch the Victorian policeman. And how good to see Nighy get a lead credit. There’s a great deal of British acting talent here – familiar faces such as Daniel Mays, Clive Russell, Eddie Marsan and Henry Goodman. All looking as though they’ve emerged from the streets of Limehouse. But the film rises with the talents of two newcomers to me. Douglas Booth is quite stunning in the role of Dan Leno, totally believable as perhaps the greatest of music hall showmen. I’ve always had a great interest in Leno, a fascinating individual who forged the way we perceive popular entertainment of this kind, from straight entertainment, jests and songs, pantomime to burlesque, Leno was the grand master. His relatively early death in 1904 shocked the nation. The tragedy of music hall before this period is that we have only scratchy recordings of some of the best acts (we’ve got just such a recording of Leno). Not being able to see these stars visually makes it hard to grasp how good they might have been. I’m old enough to have seen some of the early twentieth century stars live on the stage. They were good indeed – we’ll not see their likes again. But few of the Victorians were filmed, then only silently. But Douglas Booth surely captures a great deal of Leno’s magic. Here’s an actor to watch out for in the future. The key role of Elizabeth Cree goes to Olivia Cooke. Cooke is as good as Booth in portraying the growing confidence of a music hall singer, caught up in the murderous twists of the tale. Try and see it at the cinema if you can with an audience around you – more like a music hall atmosphere than watching it at home on DVD. Though we’ll be adding it to our DVD collection when it’s out. 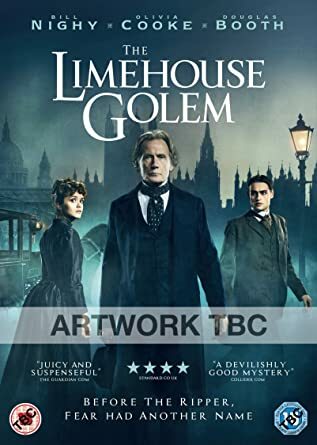 Peter Ackroyd’s novel Dan Leno and the Limehouse Golem has now been out for over twenty years. Given my interests in Victorian crime and the history of the music hall I’ve always been meaning to read it. Now I’ve finally got round to it and I can say that it’s a terrific read, evoking a real feel of the Victorian underworld in Ackroyd’s usual and very vivid writing style. As a writer Ackroyd is well-known not just as a novelist but as an historian and biographer. If you haven’t read it I commend to you his London – A biography – perhaps the best of all recent histories of the city. Dan Leno and the Limehouse Golem is not your usual crime read. It’s a deeply literary novel which happens to be about crime and the low-life and middle-class existence of Victorian London. And there’s a lot more to it than that. Ackroyd has a way of plunging you deep into this imagined vision of a past age. For those who don’t know, Dan Leno was perhaps the greatest star of Victorian music hall. But he is not the only real-life character encountered in this book. We also see the struggling writer George Gissing and a glimpse of Karl Marx during his London exile. This is a book which begins with a hanging and works backwards. We see how his key character Elizabeth Cree progresses as a music hall turn, the murders of a serial killer, the legend of the Jewish golem, a trial at the Old Bailey and pages from the diary of John Cree delineating many aspects of Victorian life – for this is a novel of multiple viewpoints. Ackroyd is so very good at exploring the sinister hinterlands of the Victorian underworld. The author’s great knowledge of London shines through on every page. Terrible secrets are revealed and the ending is just stunning. A novel you’ll want to read more than once – thoroughly recommended! This Gun for Hire is Hollywood’s film noir take on Grahame Greene’s early (1936) novel A Gun For Sale, with the setting altered to America and an all American cast. (Though Alan Ladd was actually half English, his mother coming from County Durham). There have been several other versions, some using Greene’s original title, a 1957 rather altered remake called Short Cut to Hell (interestingly, directed by James Cagney), and a 1991 television movie with Robert Wagner. This Gun for Hire features Alan Ladd – billed as a debut turn way down the cast – as Raven, and a terrific performance he gives. The heroine, showgirl Ellen Graham is played by Veronica Lake, who positively oozes sultriness – the first of three film noir pairings with Ladd. Her detective boyfriend, Michael Crane, is Robert Preston – who actually gets the lead billing on this film, and terrific he is. It would have been great to see him given more hard-boiled roles. Laird Cregar plays the villain of the piece, Willard Gates, giving a performance of seedy cowardice that would have got him an Oscar in a mainstream production. The basic tale is that the anti-hero Raven, a low-grade hitman is paid for an assassination in marked notes, which will inevitably lead to his downfall. In Greene’s novel, the victim is a government minister in Prague. But in This Gun For Hire, the initial victim is a blackmailing chemist. Determined to get revenge for being fingered by the marked notes, Raven seeks out Willard Gates and his paymaster, an enemy-collaborating industrialist called Alvin Brewster (Tully Marshall). Along the way, Raven falls in with and eventually gets help from showgirl Ellen Graham, who is working on the side for the FBI to infiltrate Brewster’s enemy-friendly organisation. Like all films with anti-heroes (and most films noir have one) This Gun For Hire stands on our sympathy with Raven. He’s certainly a killer with a conscience, a lover of cats and a determined saviour of the threatened Ellen Graham. Alan Ladd plays him with an honesty that makes you root for him from the start, whatever he does. The film put him on the track to the stardom he deserved. The pre-war setting of the book (a thinly-disguised Nottingham in England) is changed to wartime California, with the population rehearsing for a possible gas-attack. The wearing of gas masks gives a very sinister feel to several of the film’s best scenes. The film ends with the obligatory shooting, very intelligently staged. But the climax is over-shadowed by the scenes in a railroad marshalling yard where the police hunt for the fleeing Raven. Scenes that are so well paced and beautifully photographed that they should be an object lesson to a new generation of movie makers. The very intelligent screenplay was by Albert Maltz (his first screenwriting credit as such, though he’d worked on Casablanca just before) and W.R. Burnett (himself one of the best and definitely most underrated crime writers, author of classic novels such as High Sierra (see blogs passim), The Asphalt Jungle and Little Caesar, and a huge number of screenplays. The tragedy of it all is that Alan Ladd, Veronica Lake and Laird Cregar all died far too young. What else might they have achieved? I’ve seen this now several times over the years and never tire of it. 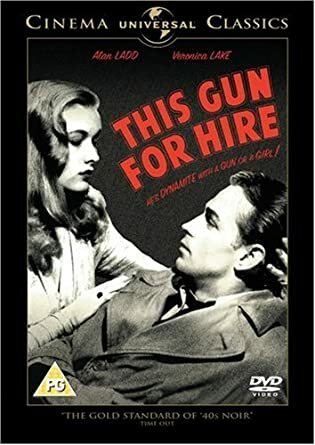 I’ve put the picture up of one DVD version that’s available, though This Gun For Hire often features in film noir box sets with other classics of the genre, which are worth hunting down. It would be interesting to know what Graham Greene (known at the time as more of a film critic than a novelist) made of this treatment of his story? He went on, of course, to considerable fame. I never met him properly, but we once exchanged “good mornings” in the delightful little old second-hand bookshop that stood under the castle walls of Totnes in Devon, as he knelt on the floor searching out books on one low shelf, while I did the same in a nearby aisle. After he’d left, the bookseller told me it was one of Mr Greene’s regular haunts. He had good taste – there were always bargains and obscure titles to be found there. John Buchan’s last novel Sick Heart River is not a story of crime, nor is it a thriller. It is a novel of high adventure. But it deserves a mention on Gaslight Crime, because it is the final outing of his series hero Edward Leithen – in many ways the most interesting of Buchan’s characters and perhaps the nearest in temperament to the author himself. Leithen made his first appearance in the short story Space and his first real outing in The Power House, which we reviewed a few weeks ago. His novel adventures include John Macnab, The Dancing Floor and The Gap in the Curtain. Sick Heart River (sometimes known by the title Mountain Meadow in the USA) was first published in 1941, given to a world beset by World War Two. The shadow of that war hangs over this book, though it’s not in any way a novel of war. 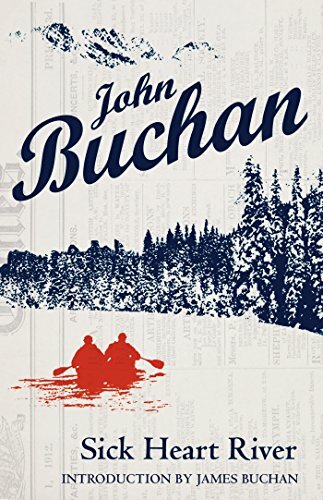 John Buchan, in his role as Governor-General, had signed Canada’s declaration of war in September 1939, at a time when he would have been writing this book. Buchan hated war and Sick Heart River gives a strong feeling of his known world falling apart. He died, suddenly, in February 1940, just days after completing Sick Heart River and his autobiography Memory Hold the Door. But he had been in poor health for quite a time and much of this is reflected in the plight of his hero Ned Leithen. Sick Heart River will never be our favourite Buchan read, but it is, in both our opinion, the finest book he ever wrote – a literary masterpiece. It is also a book of admiration for the Canada he’d come to know and love during his five years as Governor-General, with wonderfully descriptive passages about the arctic and the people who struggle to survive there. Sick Heart River is a novel about confronting death – something we all have to do and the prospect must have been very much on Buchan’s mind. In his early essay Scholar Gipsies, written when the author was probably not twenty years old, he writes of a friend dying of a slow disease, probably tuberculosis. A man who rather than succumbing to the traditional death bed, takes to foot to face death standing in the hills of the Scottish Borders. Leithen, survivor of so many dangerous situations, now faces death himself. Weakened by a gas attack in the Great War, he has tuberculosis. The health and strength he prided in having have fled. He is weakened, debilitated, and has just months to live. Rather like the character in that early essay, Leithen decides to face death standing – to have one last adventure. He is approached by the American John S. Blenkiron, a favourite Buchan character of ours, to seek out the missing Francis Galliard, a French Canadian banker in New York, who has walked away from his life and disappeared in the north of Canada. Taking a long journey, first to America and then on to Quebec, Leithen trails Galliard and his guide Lew Frizel into the great wilderness of the arctic. This is not just a book about physical decline but about mental strain as well. Lew Frizel is obsessed with finding the Sick Heart River, a place that should be paradise but turns out to be anything but. It becomes clear that, in his obsession, Lew Frizel has abandoned Galliard. Finding both now becomes the task of both Leithen and Lew Frizel’s brother Johnny. How they find them and what the quest does to them all is the theme of the novel. As Leithen progresses through a landscape of freezing ice and snow his health improves, he gets back his strength and his will to live. He begins to plan a quiet old age with the shadow of death removed? But is his escape from mortality realistic? There are, in this novel, some of the finest descriptions of landscapes in Buchan. His knowledge of the north came both from an official trip in 1937 along the Mackenzie River and the far north experiences of his son Johnnie who worked for the Hudson’s Bay Company. But the arctic, rather like the valley of the Sick Heart River, is not portrayed as a paradise. The North is given to us as a place of peril and decay, where the native Hare Indians are themselves sick and indolent – so mentally exhausted that they no longer want to bother to even save themselves by finding food and drink. So Leithen, having achieved the first part of his quest, devotes his recovering strength to saving the Hares from themselves, providing them with food and shelter and giving them a reason to go on living. But there is a price to be paid for such magnanimity. Sick Heart River is a novel of adventure as well as spiritual quest. A tale of a dying man making his soul and discovering what his life has been all about. But it is not in the least morbid. It is very much a tale of hope. A novel to make you think and consider what life should be all about. Buchan projects his characters into the spring of 1940 – a spring the author was destined never to experience himself. Cut off from civilisation for many months, Leithen learns that the dreaded war has begun. It’s interesting to me that many of the first readers of Sick Heart River, facing the prospect of death on a massive scale, must have dwelt on the same questions about mortality as Ned Leithen. Buchan’s greatest novel has a message for us all. I’m now writing the third book featuring my series character William Quest, which hopefully will be out at the end of the year. Quest will find himself a long way from London fighting against new enemies and even greater dangers in York, one of England’s oldest cities. In the London novels (see below) Quest had the advantage over his enemies of knowing every street and alley. But York is new to him, so he’s disadvantaged from the start. And it is in York’s winding medieval streets and snickets that he faces a particular and menacing foe. As York is one of our favourite places, I’m very much enjoying setting a book there. It’s a wonderful setting for a mystery adventure. If you haven’t read the first two books in the series, do please click on the links. They’re both out in paperback and on the Kindle eBook reader for your smartphone, Kindle or laptop – just download the free app when you order the books. And if you have read the books and enjoyed them, I’d really appreciate it if you would leave a quick review on the Amazon sales pages. Leaving reviews helps all Indie Authors stay in business and keep writing. Please do tell your friends and fellow readers. Word of mouth is the very best form of advertising. The empty avenue curved away between green-hedged villas, quiet and sinister as an old film set. Then a dog padded purposefully out of a gateway, and a milk-float whined along the gutter. 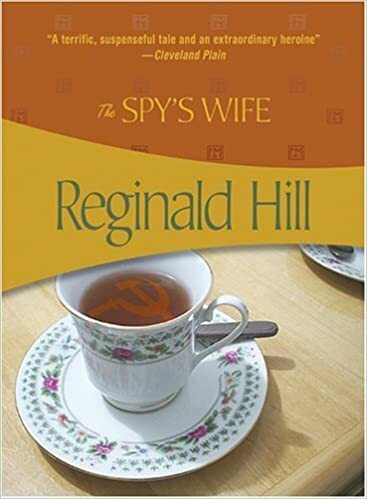 The Spy’s Wife was published in 1980 as one of Reginald Hill’s stand-alones. Much as I love his acclaimed Dalziel and Pascoe police procedural series, this is one of my favourites among his canon. Throughout his writing career, begun in 1970, Hill was writing stand-alones alongside his series, usually thrillers. In the ’70s and ‘8os, these were often brought out under his pen-name Patrick Ruell, though latterly they’ve been repackaged. Reginald Hill was a very interesting thriller-writer and if you’ve only read Dalziel and Pascoe, it’s well-worth seeking out these other titles. I think it’s fair to say his early thrillers are less well-known than his detective fiction and later standalones such as his final novel, The Woodcutter. As far as I know, The Spy’s Wife was always published under his real name. The Spy’s Wife isn’t an easy novel to describe as there’s a great deal to uncover. The title is a conundrum in itself, being both apt and misleading. Set in the 1970s, this is the story of Molly Keatley, a happily-married housewife in her thirties. Her cosy life in Westcliff-on-Sea collapses like a house of cards one morning when her husband Sam returns home for a few minutes and dashes off again. Her next caller informs her that Sam is a Soviet spy and traitor. No spoiler – this comes on the first page. This is a character-driven narrative and despite a compelling plot, it’s far from your average thriller. Neither can it truly be described as an espionage novel, although an investigator from a shadowy government department – never named as M.I.5 – plays a major role. There’s no tradecraft here. This is about the nature of lies, truth and illusion. The human cost of spying as seen by an outsider. Molly is a Yorkshire lass who, like many young girls in the Swinging Sixties, left her home town to work amid the beckoning lights of London. In the novel she returns to her ageing parents in Doncaster, where Reginald Hill taught for many years as a college lecturer. His affection for Yorkshire folk with their no nonsense attitude and core of pragmatic, understated stoicism shines through the novel. At times, Molly’s stock of pithy, common sense is reminiscent of a certain Fat Man, beloved of Hill’s fans. There’s a great deal of reflection, wisdom and humour in this novel. It’s concerned with the accommodations we all must make as we navigate the pot-holes and craters on our path. The choices we make as we try to find the best way to get by in this baffling business we call life. Molly gets to revisit the road not taken and rediscovers an inner strength as she determines to take control of events. A profound and thought-provoking read, within a page-turner of a story that’s tense and unpredictable. Re-reading The Spy’s Wife after many years, I was so impressed with how well Reginald Hill could write about women. All the more so, as I’ve never enjoyed Ellie Pascoe in the Dalziel and Pascoe novels. My heart always sank when she made an entrance and the titles where she played a major part, such as Arms and the Women were the ones I enjoyed least. To be fair, I think she was all too familiar, just not my type! Molly Keatley’s ‘voice’ is completely believable. She springs off the page, as do all the characters, particularly Molly’s parents. As I read, I kept thinking what a good television drama this would make. Didn’t get as far as imagining casting. My fantasy casting – a game we often play – mostly involves actors long gone or retired. The novel’s sense of place is wonderful. When written, of course, Reginald Hill was looking back only a few years and he captured life in the 1970s, over-hung by the Cold War, in evocative detail. I loved every page and despite recalling the main plot points, found it hard to put down. Fans of Dalziel and Pascoe know Reginald Hill’s writing was intelligent and compassionate. Throughout The Spy’s Wife, there’s an underlying sense of his wisdom and humanity. This is the quality of writing that makes the prejudice against ‘genre’ novels, as opposed to ‘literary’ novels, look ridiculous. At the time of posting, The Spy’s Wife isn’t out as an ebook and – as far as I know – is only available new from American publishers Felony & Mayhem. I’m greatly indebted to them for several much-wanted British titles which should still be in print in the U.K. (Though I wish they wouldn’t update Golden Age novels to politically correct language). And this time, their jacket copy is a little misleading. The Keatleys live in a suburb of Southend-on-Sea, not London. Be prepared to go in a different direction from thriller/espionage labels and The Spy’s Wife is a superb read. Highly recommended.